There’s a first time for everything in a person’s life, but there’s also a Part II. This week’s column is dedicated to arguably the best Part II of all time. And that’s a thing that’s happening for the first time. Last week Michael brought Aaron the heart-pounding action of Crank – one of his all-time favorite guilty pleasures. This week Aaron takes Michael out from under the proverbial rock with The Godfather: Part II, Francis Ford Coppola’s Academy Award-winning follow-up to his masterpiece, The Godfather. Aaron Hubbard: I’m not sure I really need to explain why I picked this movie when Michael told me he’d seen the first but not the second. The Godfather is probably my favorite movie of all time (other that The Empire Strikes Back), and the sequel is just as good. Maybe better? I’m not sure. Regardless, Part II is a movie that any serious movie viewer should see at least once. So, now that we’re here, Michael… what are your thoughts? Michael Ornelas: Total “Wow” City. Population: me. Clocking in at over 200 minutes, The Godfather: Part II is definitely something you don’t put on casually, but man what a rewarding experience that viewing was. I rewatched Part I as I’d only seen it one time before, and I was reminded what a masterpiece that was. I don’t think Part II was quite as good, but it was also very different and a masterpiece in its own right. The timeline of the movie is really cool as it jumps from Vito Corleone’s childhood, to after his death when Michael Corleone is running the family, and then back to Vito’s ascension to power. It never got confusing, and that’s a testament to the entire production because it would be very easy to confuse viewers. This movie gave viewers exactly what they needed at the right time without ever insulting their intelligence, and I, for one, appreciated that. Aaron: One reason I enjoy the first movie more than the second is because it’s more of a straight-forward story. Michael is an anti-hero in that movie, someone who does terrible things. But he starts as a relatively good person, and he starts down his path for good reasons; trying to protect his family, hoping to legitimize his business. But that movie only really hints at what this is going to cost him. Part II shows that in brutal detail. The result is, I think, a stronger movie with a deeper narrative, but one that’s not exactly “fun” in the way Godfather is. Well. Fun being a relative term. Michael: He lost everything that most people would call “important,” — family, reputation, and morality. The only thing he has by the end of the movie is power in a very shallow sense of the word. In this first film, he **SPOILER** enacts a hit on the other heads of the Five Families, but in Part II he coordinates a similar act of brutality on his own family and everyone else who crossed him. I lost all respect for the guy part-way through the movie (the last straw being when he strikes his wife, Kay), and he truly terrifies me by the person he becomes because we see exactly how he got to that point throughout the two movies. The fall of a good man is a shame, and Michael Corleone got to a point of no redemption. Aaron: That scene with Kay may be the most stomach-wrenching scene in either movie. I won’t get into every detail to avoid spoilers, but it shows just how much damage Michael has done to himself and everyone around him. I also think it strikes more of a chord when you remember that Michael had his brother-in-law Carlo executed for attacking his sister. Now he’s became the exact kind of man that he ordered to be killed. He’s one of the most complex, grounded, and downright despicable villains in the history of cinema. Michael: On the flip side of that coin, Vito is almost a hero. Sure, he does despicable things, but his victims are never undeserving. He’s more akin to The Bride from Kill Bill than he is a flat-out bad guy in that he’s out for revenge. First, it’s Don Fanucci, who pushed his weight around too much, and Vito did it for the good of the neighborhood. And then the second revenge scene — and arguably one of the more gruesome visuals in the series — comes when Vito returns to Italy and assassinates Don Ciccio, the man who murdered his entire family. What a satisfying moment that was. It was Vito’s reward to be able to pull that off after his rise to power. Aaron: It’s no accident that we see Michael’s father going in the opposite direction. While Michael Corleone started in the business with good intentions, his father pretty much always had good intentions. He’s no saint by any means, but I’ve always gotten the impression that he was a reasonable and moral man at his core. Showing how Vito becomes a hero of the people while building his family and his empire just drives the point harder for Michael’s fall. This does make me think of one of the more interesting aspects of this movie. Marlon Brando was certainly not going to play a young Vito, but he doesn’t show up in the movie at all. Instead we have Robert DeNiro. Did you find that a difficult transition? Michael: Not at all, and that’s in part to DeNiro’s excellent recreation of the mannerisms that Brando established in Part I while still making the role feel like his own. I’d imagine that’s a large part of why he ended up winning Best Actor for the role. I personally think Pacino was the better actor in this film, but that’s not a complaint considering both were so strong. I felt Brando was very endearing to the audience, and I wondered if DeNiro would be able to pull that off since he’s always been a guy who has intimidated audiences with the roles he has chosen, and I was pleasantly surprised by how quickly I took to him. Vito Corleone is involved in one of my favorite character-building scenes in the movie — the one where he negotiates with Signor Roberto, the landlord of Anita Colombo (who got a dog that’s too noisy in her apartment), and convinces him to retract his eviction and allow her to stay, both with the dog and without an increase in her rent. 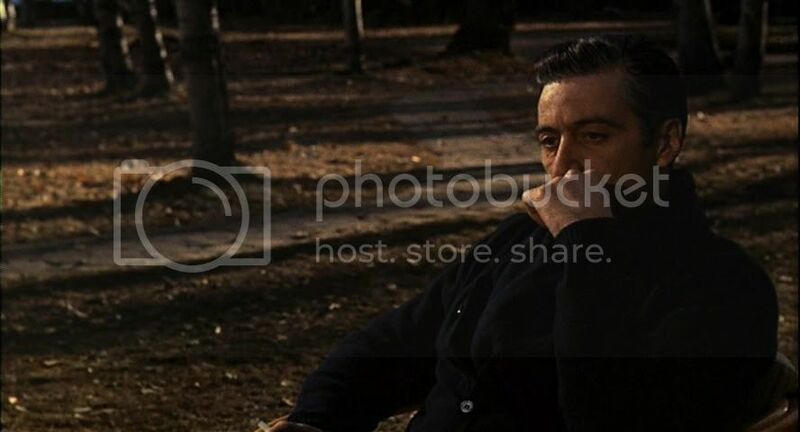 This scene has so much going on — it reveals to the audience just how much influence Vito has in the neighborhood now (the landlord returns to accept Corleone’s offer after asking around and learning who he was by word of mouth), and drives home the point that he’s a man of the people. That’s the sole reason his empire succeeded while Michael’s crumbled around him. Aaron: Something that really struck me with this film is that a lot of it is shot in broad daylight, or with heavy lighting. Visually, it’s a much brighter film than its predecessor, despite the fact that it delves into more evil subject material. I think this is rather interesting; the first movie is cloaked in shadow because we don’t really know these men or their intentions. This one has all of Michael’s evil and all of Vito’s good deeds on display for everyone. He can’t hide his evil from his family, the government, or the audience. Michael: Why do you get to see this things, and I don’t? I really enjoyed the production design. I always like brighter color palettes, even over brilliant movies that use shadow to characterize moods and character shifts. Aesthetically, this movie was gorgeous, and even managed to make a scheme of browns, tans, beiges, and whites pop. Aaron: I’m going to say it’s because I’ve watched the movie twice now and have spent more time trying to figure it out. I’m especially glad that I watched this movie a second time because I think I definitely appreciated it more this go around. And while I still prefer the original, I have to say this one actually has my favorite line in the two movies. “I know it was you, Fredo. You broke my heart. You broke my heart.” And that’s all in Al Pacino’s delivery. It’s downright scary really. I also have come to appreciate just how perfect the ending scene is. It shows that Fredo was the only one who supported Michael, and it reinforces the effects the Corleones have on their children by showing Sonny’s kids reactions to his fighting. Hell, it shows that Sonny introduced his sister to Carlo. That sure went well. Aaron: What more can be said about this movie that hasn’t already been said? It’s perfect. It’s an incredible, ruthless journey into the heart of evil men. I think it’s honestly a movie that everybody should see at least once in their lifetime. One of the great things about art is that it allows us to confront the darkness of humanity in a safe, sterile environment where it can’t really hurt us. We can look at Michael’s life and see where he went wrong, and the cost of it. The movie is incredibly sinister, but every bit as stellar. Michael: What an achievement in cinema this movie is. Even at almost three and a half hours, this move flew by. The story is enthralling every step of the way, and the themes are timeless. This will be a movie that’s still lauded as a classic (along with its predecessor) in a hundred years from now. My rating is pretty easy. Aaron: It says something about the quality of these movies that this is the most enthusiastic A+ I have given in this column and it’s my second favorite Godfather movie. 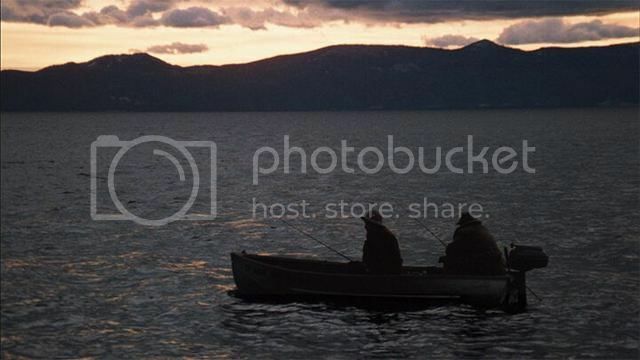 Which performance in the Godfather movies is your favorite? Michael: So now I’d like to pick my personal favorite Best Picture winner that I know you haven’t seen. Aaron: This is the second Kevin Spacey movie you’ve picked for this column. Big fan? Not that you shouldn’t be. Michael: There was actually a stint where I considered Spacey to be my favorite actor of all-time. He’s still in my top 5 because every role he does feels like something I’ve never seen before. He’s the main selling point of this pick as well (and he won Best Actor for it to boot). Much like Lester Burnham in American Beauty does, what would you do to reinvent yourself? 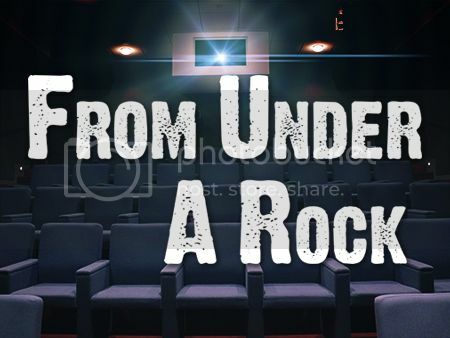 On this week’s edition of the “From Under A Rock” podcast, Michael and Steven welcome back James and Ryan to the podcast for the (season?) finale! Michael selects High Plains Drifter despite the worst racial slur in the podcast’s mythos being RIGHT THERE in the title. The sequel to one of the greatest American films ever made is also one of the greatest movies ever made. 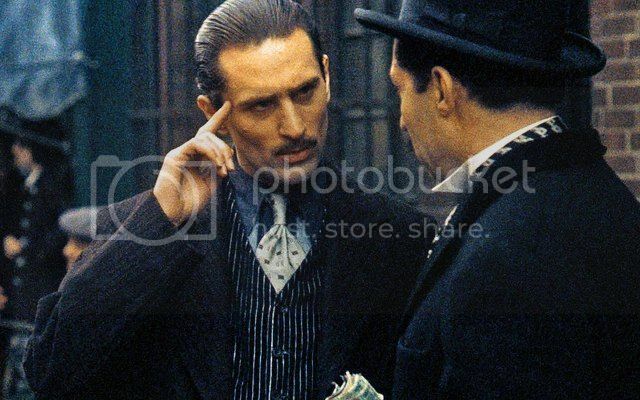 Robert DeNiro brings his own spectacular talent to the role of Vito Corleone, and Al Pacino improves on an already masterful performance from the first movie. It would take a long time to find a meaningful flaw in the movie despite it's 202 minute running time. This film, and the original, get our highest recommendation possible.